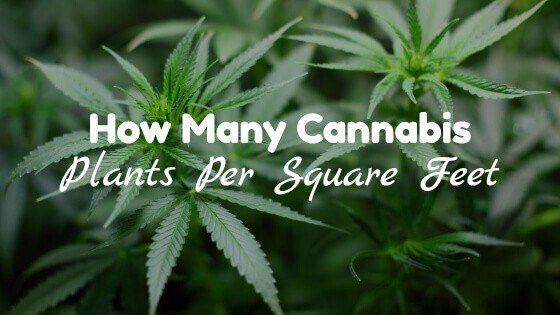 How many cannabis plants per square foot can be grown in a garden? The truth is, there’s no right answer—there’s so many variables that a flat answer is just hard to say. If I were to give you one, though, it’d be that one plant needs 2-4 square feet. Today, I’ll teach you the square footage each marijuana plant needs with various growing techniques and give you some easy to use calculators to find out how many YOU can grow. A common planter a lot of cannabis growers use is a five-gallon bucket. They’re cheap and sturdy, plus they work well in hydroponics. Well, five-gallon buckets take up about 2 square feet of space, and you can pack your grow room silly with them and grow high-quality cannabis. But, it’s not just the planter that determines the amount of space you need per plant. A HUGE factor is the growing method you use. Each one of these growing techniques requires various square footage per cannabis plant. For instance, with SOG you’ll only need one sq/ft per plant while topping can turn your plants into a huge bush that needs 4+ sq/ft. Which Should I Choose to Get the Most out of my Space? Ok, so we know that the techniques you choose determine the amount of space each plant's needs, but which method will yield you the most? This is a never ending debate, that again depends on too many variables to give you a de facto answer. When you’re just learning how to grow, you can feel a little overwhelmed. I recommend learning on one or two plants at a time, refining your skills and knowledge. A technique like SOG requires you to grow a bunch of smaller plants, dividing your attention to detail up by just as many. Another factor to consider when planning your garden is how much you can spend on it. Growing many small plants vs. growing a few large marijuana plants means you have to buy more planters, soil and you’ll have to use more water. Sea of Green forces plants into the flowering stage at a very early age. In fact, after about only two weeks in the vegetative stage you’ll switch the lights to 12/12. After a canopy of buds has started to form, start trimming all the leaves, so the plant spends all of its energy into bud growth. Screen of Green trains your plant horizontally forming these monster bushes. If you’re limited on space, growing with SCROG is one of the best ways to make use of what you have. It works by spreading the tops through a horizontal screen that’s placed above the plants. Spreading the plant this way encourages bud growth on the branch stems that are normally neglected. As the plant grows, it will reach for the screen that's 8-12” above it. But, instead of letting the plant grow through the holes of the screen, push the tops back through with your finger to make them grow across the screen—try to fill all the empty space! Induce flowering when the plant has covered 50-60% of the screen for the best result. Topping has long been a favorite of marijuana growers. It’s easy and doesn’t require any extra setup. If grown undisturbed, most cannabis plants will grow one huge top (known as the cola). The idea behind topping is forcing the plant to grow more than one cola—which translates to more bud! To top a cannabis plant all you need to do is remove the growth tip and it will split into two more. You can split two into four, four into eight and so on. Topping your plants once will turn it into a cannabis bush while topping it a bunch will turn it into an inverted Christmas tree with all the growth at the top of the plant. Once topped, plants grow sideways more then up allowing you to control the height of the plant. Low-Stress Training is training your cannabis plants without the stress that topping or pruning put on the plant. In case you didn't know, the intensity of light from a source is inversely proportional to the square distance from the source (This is known as the Inverse-square Law of Light). LST takes full advantage of this by slowly moving the top of the plant out of the bottoms way so it can receive more light. More light = more bud. You need to take your time training your plant to grow laterally, or in a circle around the pot, if you go too fast you can put too much stress on the plant. To train it, use string or wire tied around plant branches and the planter to keep pressure on the branch while moving it where you want it to go. 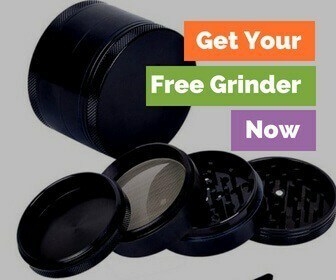 We came up with a couple of easy to use calculators for your grow room. Just enter the square footage of your garden in the form below, and it will give you how many plants you can grow with various techniques. Hopefully, you see why there’s no easy answer to how many cannabis plants per square foot. And if the calculators were of use we’d love for you to share them with your friends! What technique are you going to go with to get the most out of your space?